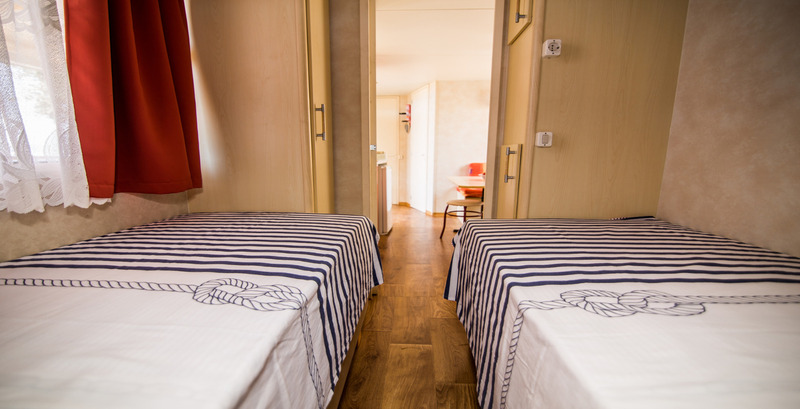 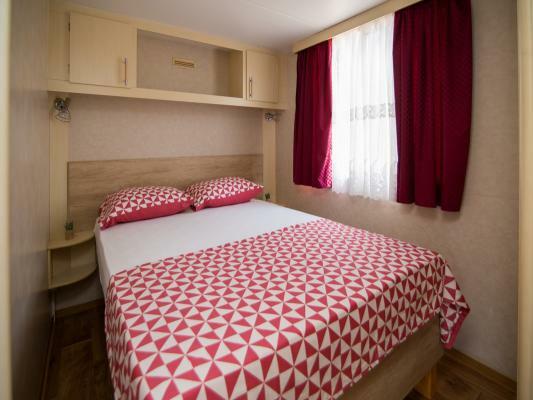 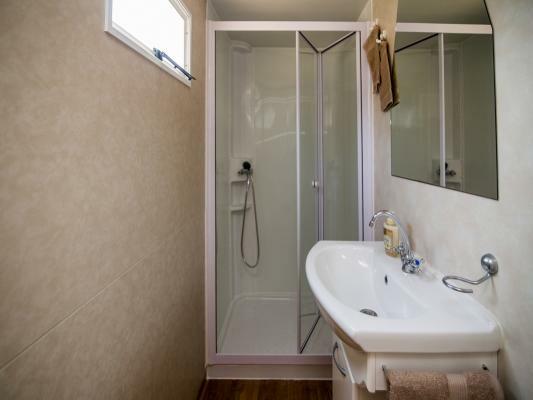 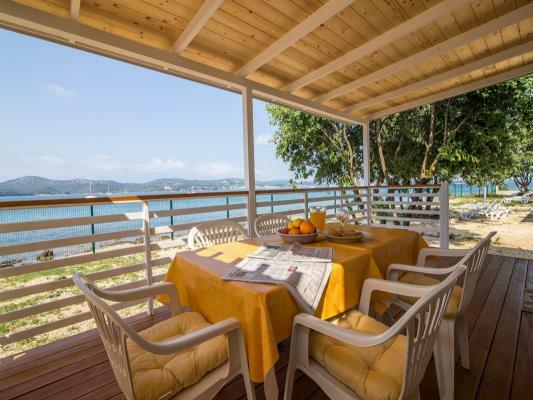 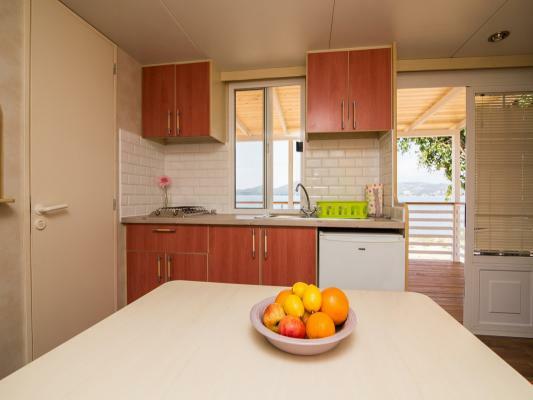 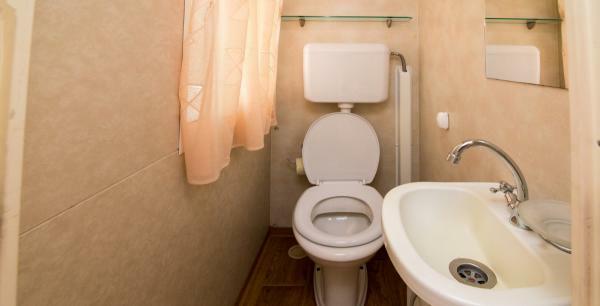 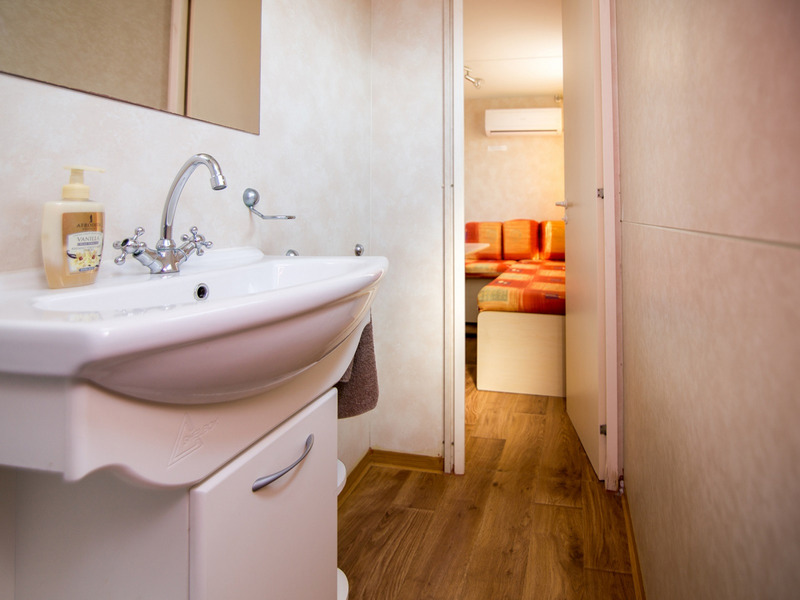 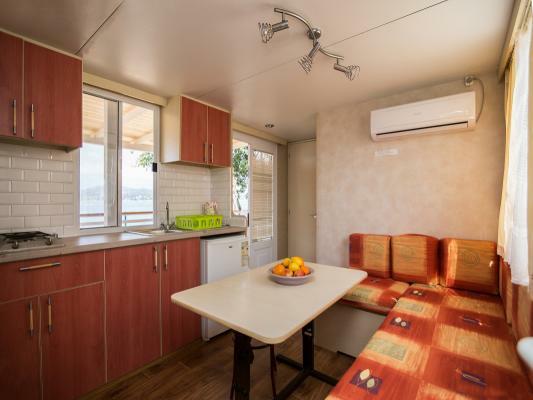 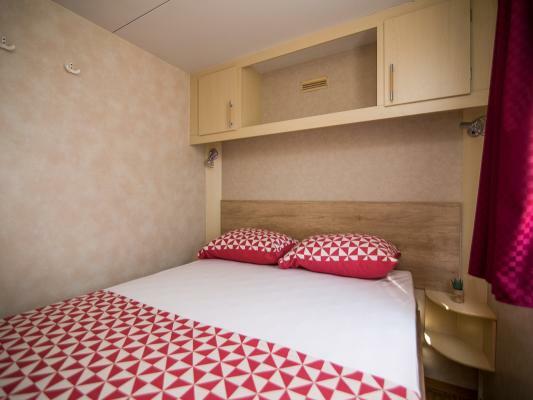 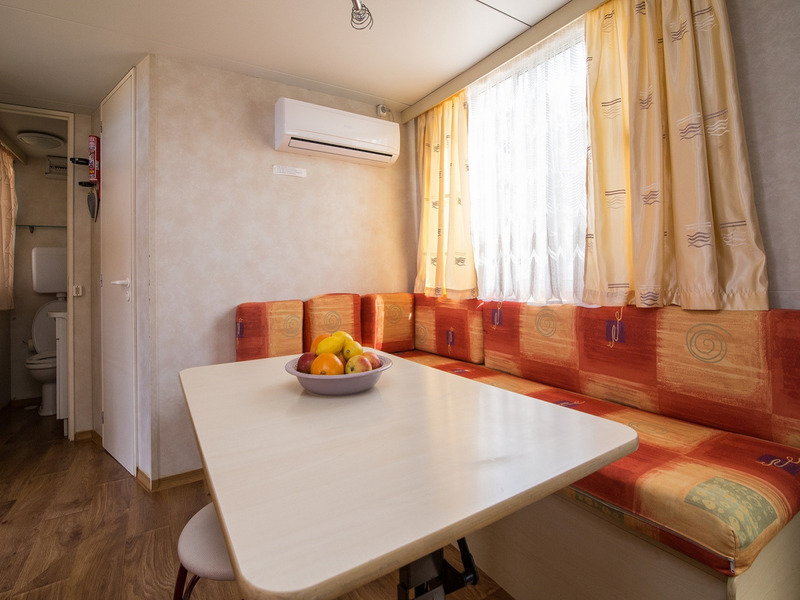 Directly on the beach Kumenat, in Biograd na moru, you will find this lovely mobile home Sandi N°4, type EUROHAUS, perfect for your beach holiday with family or friends. 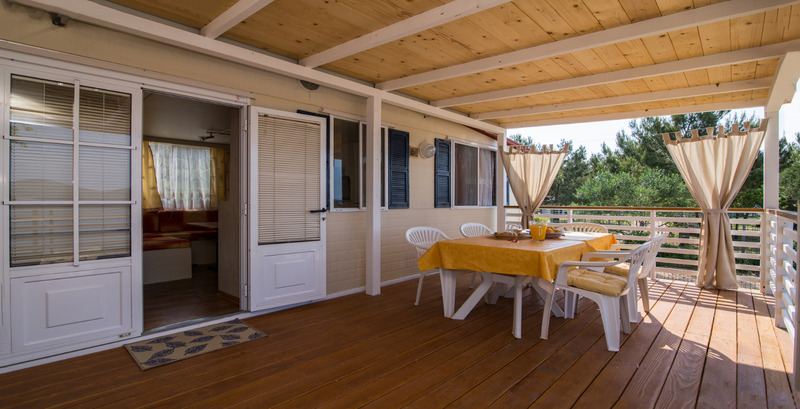 On the 10m2 area of the terrace, you will find garden furniture to sit outside, as well as2 sunchairs. 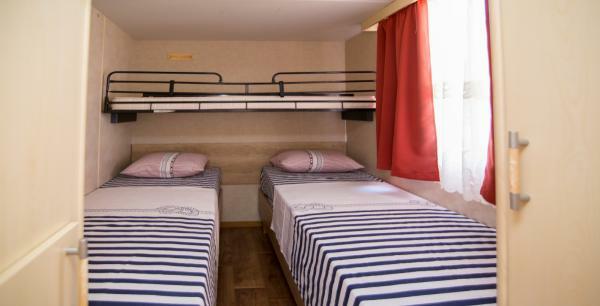 There is also a grill, available for all guests and a parking spot next to the mobile home.